Camera makers load their goods with moiré-busting anti-aliasing (AA) filters, however these low-pass filters come with a big caveat. 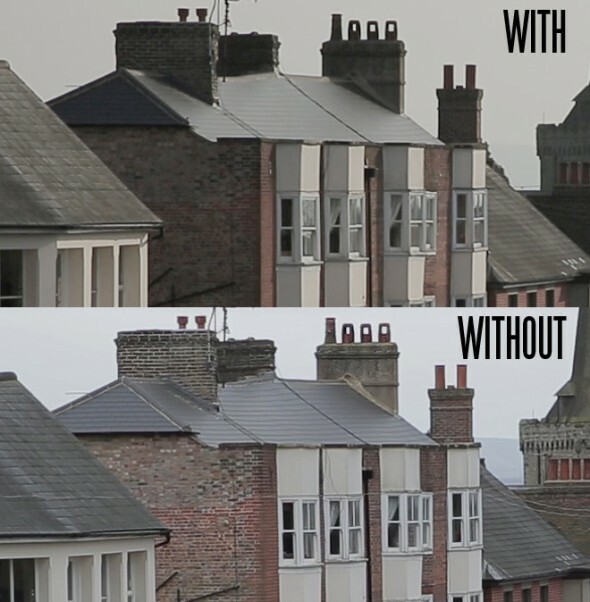 You see they are placed in front of the camera’s sensor and work by slightly blurring the image in order to avoid moiré and aliasing effects at the cost of resolution and sharpness. It seems that Canon has chosen a pretty strong AA for its latest full-frame shooter, the 5D Mark III, which is bad news for videographers and lovers of sharp stills. Nikon offers two versions of the competing D800, the D800E flavor has a weaker anti-aliasing filter than the standard model, but Canon fans are pretty much stuck. Now you’d think that a weak low-pass filter leaves you at the mercy of moiré, but in reality these patterns are not as common as they are made to be and we’ve seen the benefits to resolution of a weak anti-aliasing filter in our real world review of the Fujifilm X100 here. 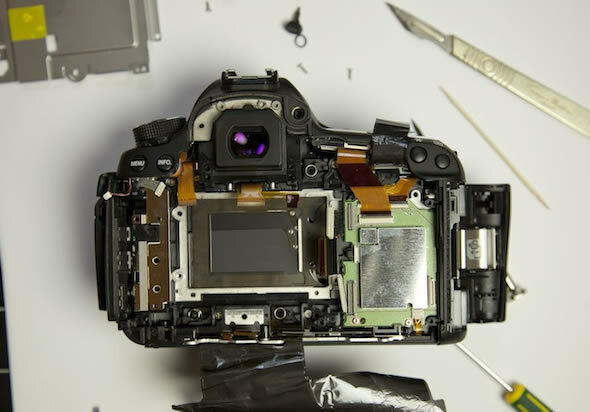 Well a freelance filmmaker, James Miller, decided to tear his brand new Canon 5D Mark III apart and remove the anti-aliasing filter in the name of sharper video. It’s a pretty painful process since you have to get to the sensor in order to remove the filter but James was definitely up to the task and he has documented the teardown process for everyone to see. Below is a photo of the sensor with the secondary optical low-pass filter (OLPF) removed, which you can see there on the right. James has also also taken a couple of shots with and then without the anti-aliasing filter and you can see the comparison below. Unfortunately the two photos were taken at different times of the day, with different lighting, but it’s pretty clear that the second image, without the AA filter, is sharper overall. There are no signs of moiré but there is very slight aliasing. 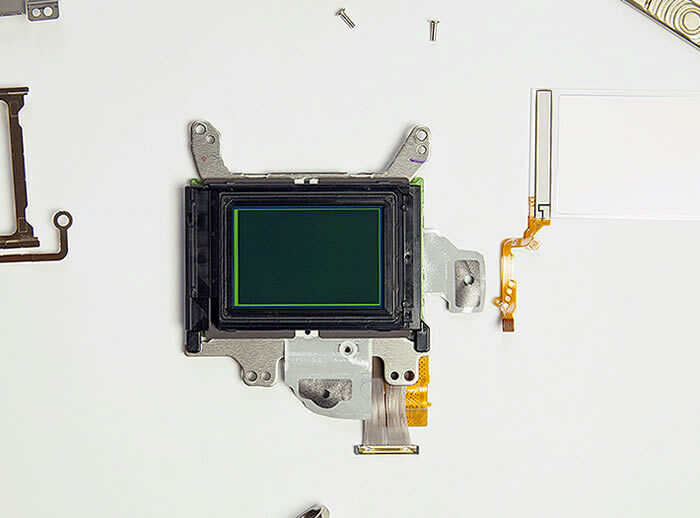 The full image with the stock 5D Mark III is here, and with the OLPF removed here.